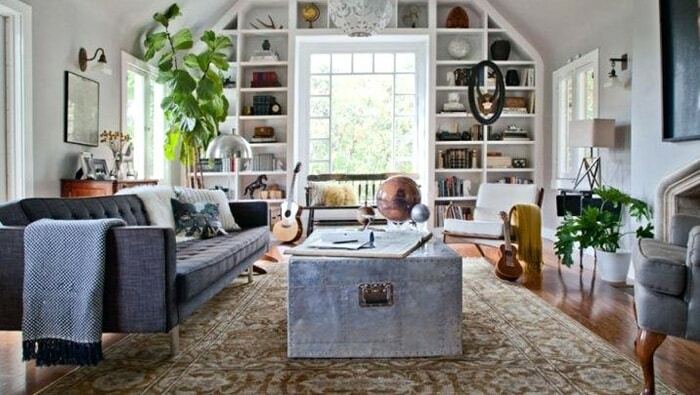 Decorating with a gray sofa is a classic accessory for any room. The practicality of a neutral grey color sofa combines versatility and elegance, but it can also carry the unwanted risk of becoming too bland and even boring over time. This is where finding the perfect rugs come in handy. Rugs do not only complement the interior design, they also can be used to define the space they’re in and either contrast or compliment with the colors of your grey couch. Allow us to show you how to pair the ideal vintage carpets or antique rugs with your neutral grey color furniture. While fine Persian rugs may seem outdated to some, others find these classic traditional rugs to be an attractive must have for their home decor. 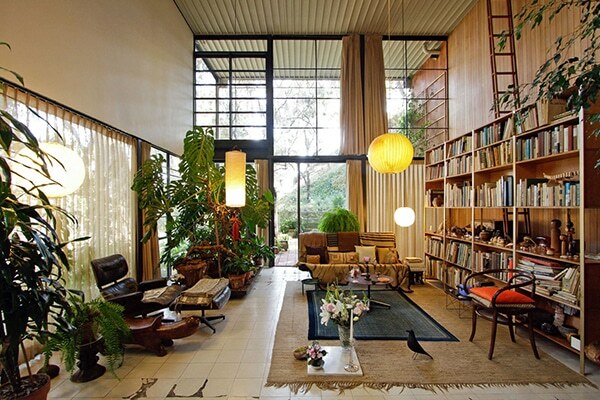 There is no set standard for how rooms should be decorated. The sheer beauty and quality of oriental rugs remain unparalleled due to their artistic timelessness. These rugs are made from prime materials such as silk and wool, and their detailed rug designs patterns are colored in the finest natural carpet dyes. 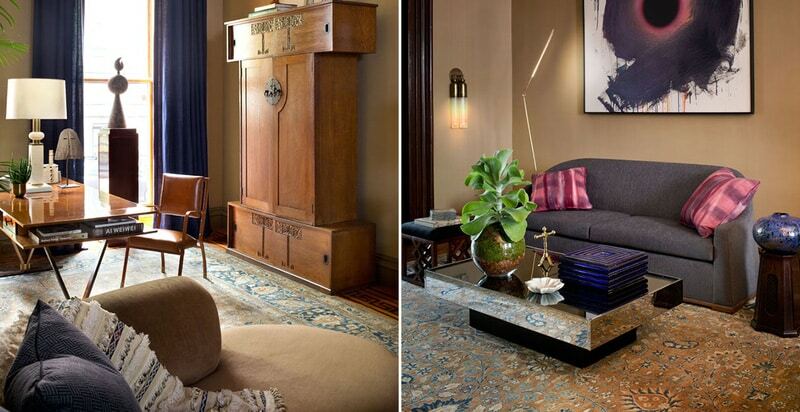 It is no wonder why gray sofas are an excellent match for oriental rugs. Due to the basic and neutral grey tone of the sofa, the area rugs can be as intricate as desired. Experimentation with various patterns and colors won’t be hindered since the grey hue of the couch won’t overshadow or eclipse the rug. 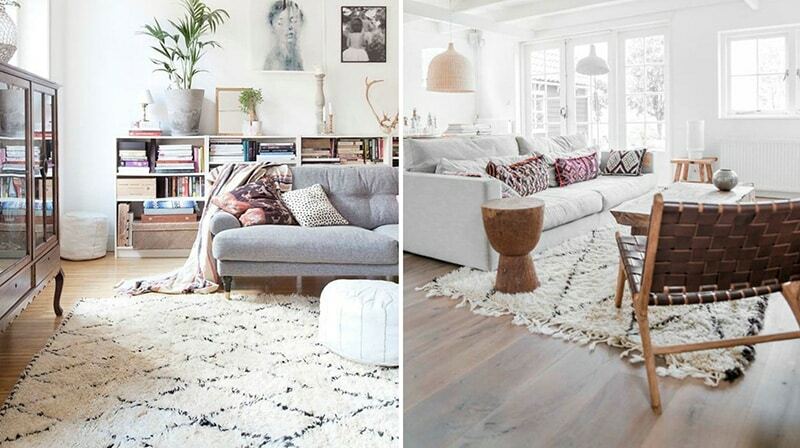 Try options such as placing multiple smaller sized rugs around the room, or opt for one large rug instead. Your grey sofa can even sit on top of a portion of the rug. It is also best to keep other furniture or accessory designs to a minimum because many oriental rugs are already vibrant enough on their own. Take for instance the cushions or pillows on the sofa. These would need to more solid in color. Varying shades of grey are ideal, and some pillows can be solid colors that match existing hues from the oriental rug. By taking this approach, an atmosphere of glamour and beauty is combined with a touch of originality. 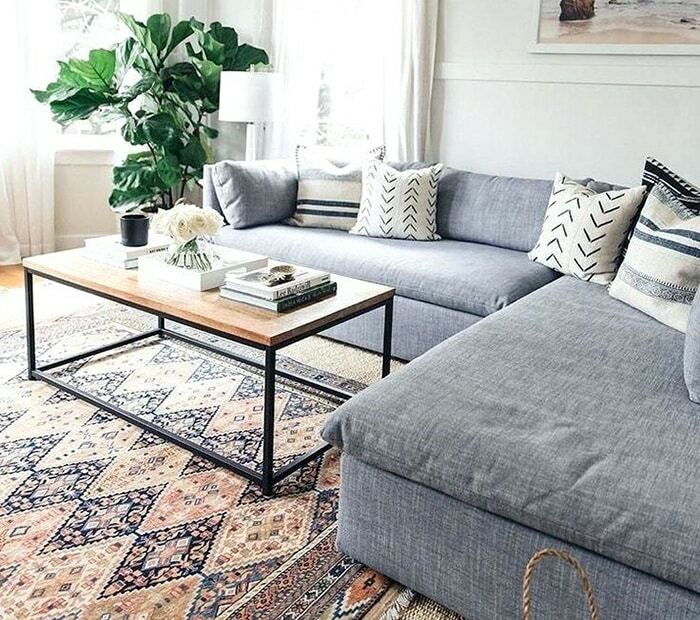 The vintage Moroccan rugs, especially the Beni Ourain rugs, are simplistic and neutral enough to work with your grey couch. They provide exceptional comfort because they are made from the softest textured wool. Moroccan rugs are the epitome of luxury and nature. The different Moroccan rug types are quite remarkable and differ a lot from the more refined Oriental rugs. 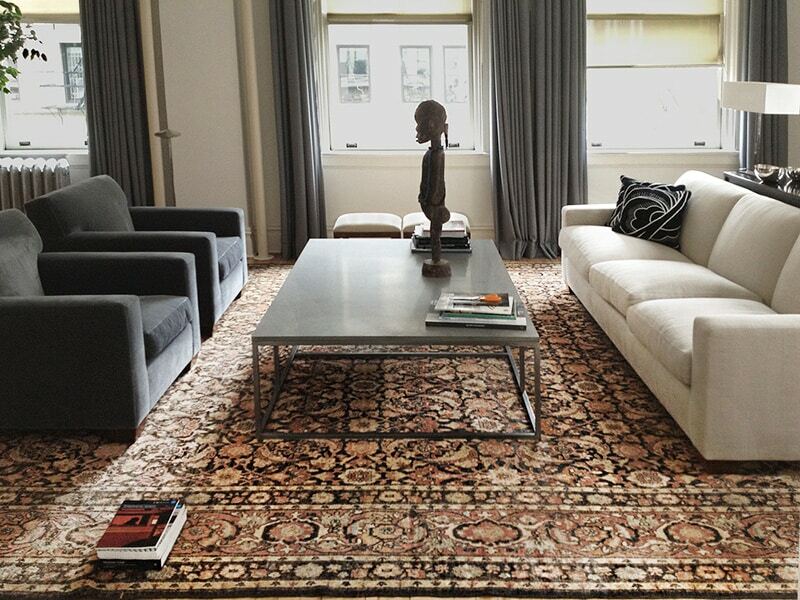 The color palette of the Moroccan rug tends to be a shade of off-white, ivory or a rich brown. 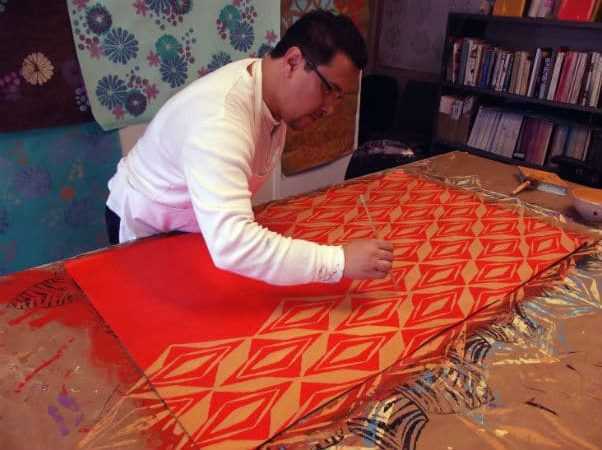 The more tribal folk art design involves various amorphic geometric features such as diamonds. 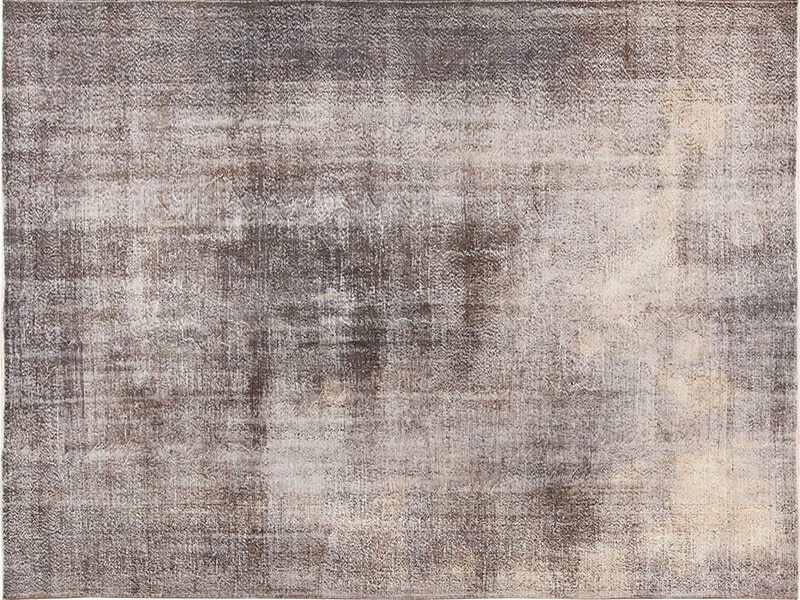 The shag rug pile texture of most Moroccan rugs gives the rugs a softer feel and a silky sheen. Does that sound too good to be true? The mid century Moroccan rugs can easily be paired with modern furniture for a unique look and feel. A grey couch offers numerous decorating options when paired with this type of a rug. These options include using accessories such as tribal bowls or cushions for decorating. This is definitely one of the best pairings for a grey sofa! 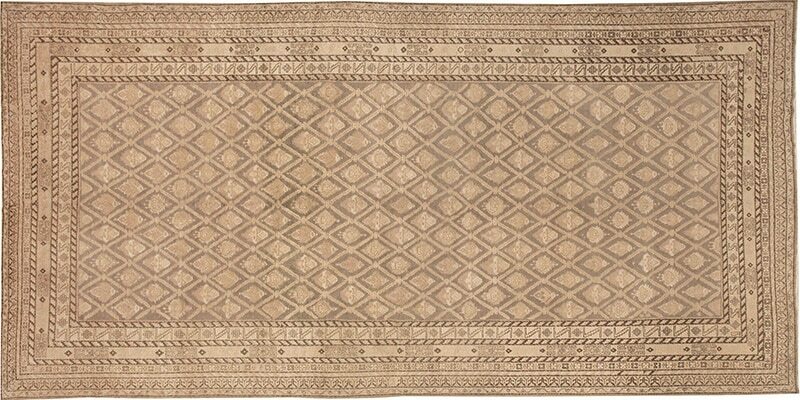 The diamond shapes of vintage mid century Moroccan rugs have been popular in folklore around the globe, and these vintage rugs are masters of originality and versatility. Their geometric beauty pairs well with angular and glass furniture. They are the ultimate in grey decor potential! Neutral and grey furniture also pair well with vintage rugs, and these types of rugs take on a more pragmatic or sensible approach. Decorating fads come and go, but basic colors will always be in vogue. 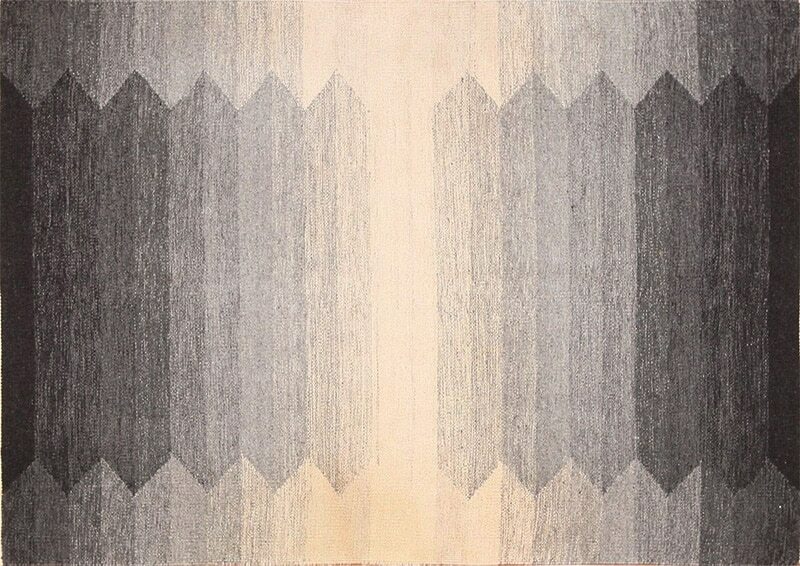 Currently, on of the most popular type of vintage rugs are the vintage Scandinavian carpets and Swedish rugs. 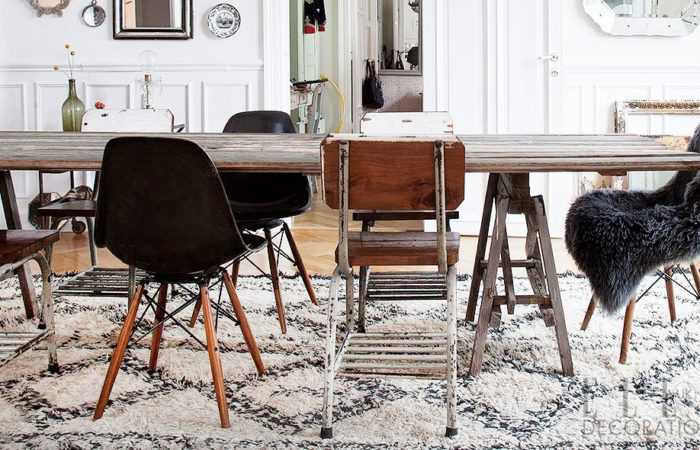 The rugs from Scandinavia are generally on the more preferred decoration lists these days. Basic geometric shapes and subtle hues provide a heartwarming touch to any room. 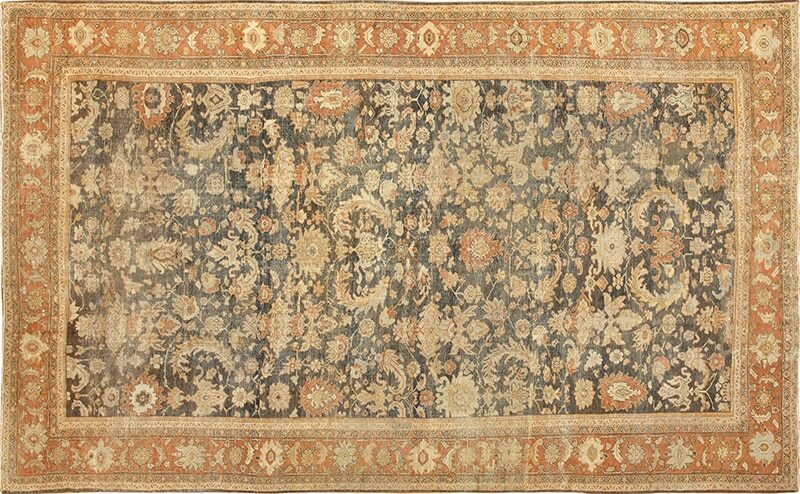 Vintage rugs easily apply to any interior decor color scheme and add character to any living space. Vintage rugs are also known as Swedish flat weave rugs, and they can sometimes take on a flashier approach. Some of the vintage Kilim rugs are also known for their large formats, vivacious patterns and prominent color combinations. Gray sofas not only complement the rugs, but they are more of a match made in heaven! What Color Rug Goes With A Grey Couch? 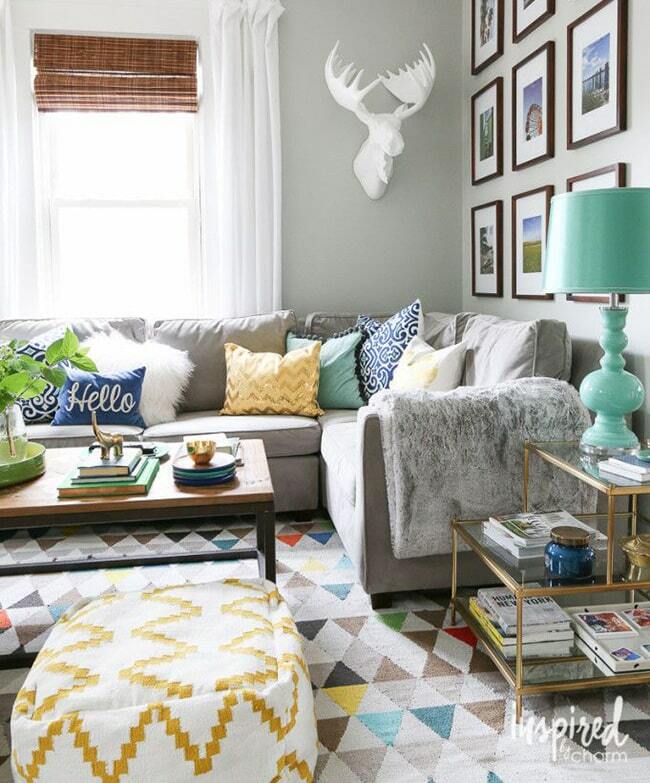 By starting out with a more neutral color palette, like a gray sofa, you really open up your decorating options. You would be surprised to see just how well so many different rugs and colors work with gray couches. So not to worry, there are many rugs that go hand in hand with a grey sofa. This interior decorating blog about rugs that work with a grey couch was published by Nazmiyal Antique Rug Gallery In Manhattan NYC.